On this day, many Jews refrain from saying תחנון and replace this with psalms of הלל, some with a ברכה and others without. On this day, those Jews who have no problem with praising ה’ יתברך for the ניסים he afforded עם ישראל do so. On this day, those Jews who are capable of “forgiving” the fact that הקב’ה wrought his ניסים despite the fact that some of his שלוחים were מחללי שבת and members of secular Zionist groups, do so, and praise Him for this wonderful step towards our pregnant גאולה. On this day, those Jews who can rise above petty politics and pent-up hangups over historical maskilic Zionists do so, and visually touch the יד ה’ extant on this wonderful day. On this day, those who not only crow about not giving back territories, but actually go out there and live in those territories, celebrate the feeling of immense קדושה which emanates from the Holiest city in the world. On this day, those Jews who are able to feel that even under exile, ירושלים is מקודשת from all other cities, increase in their Tefilla, and exclaim הודו לה’ כי טוב. On this day, I attended the communal יום ירושלים evening service, as I do each year. Personally, I do not think that this day belongs to the Mizrachi Organisation. I would like to see the service rotated among the mainstream Shules of Melbourne. I would like each Shule to ensure that when the service is hosted in their Shule, that they enfranchise their membership to attend. I don’t subscribe to the particular נוסח currently used. We never did anything like that at כרם ביבנה and I know that the Rav was against additions to the נוסח unless they were after עלינו and were simply couched in terms of הלל והודיה. On this day, we see most of the Chabad Rabbis attend each year (with the exception of the Yeshivah Centre itself) despite there being a tension between such a service and the view of successive Lubavitcher Rebbes. I was personally very impressed that for the first time, on this day, not only was the Principal of Beth Rivkah in attendance, but the new Principal of Yeshivah College was also in attendance. This, to me, is an expression of real participation in a communal sense, something that the previous principal would never have entertained. Congratulations on this initiative. 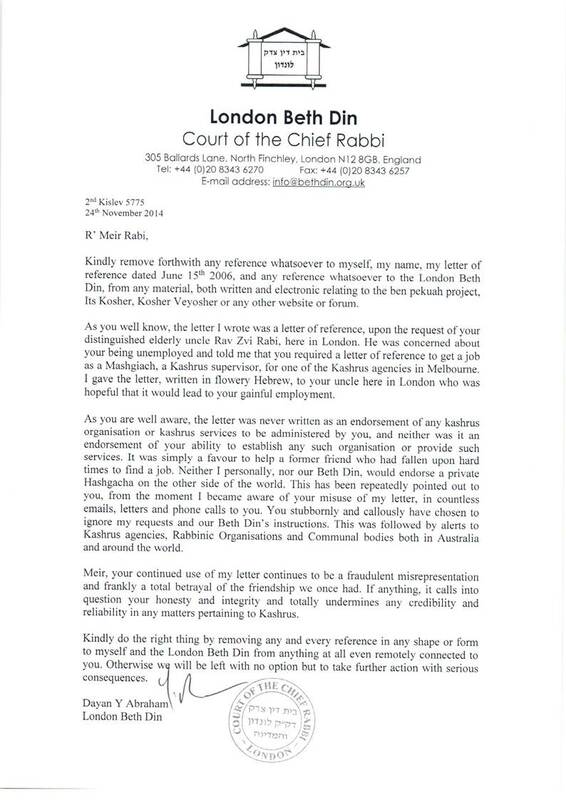 Previous Previous post: What makes a Rabbi an expert on matters of abuse?